White-tailed deer lead lives that are carefully circumscribed by the changing seasons, and the winter and early spring behavior of bucks and does might surprise even experienced hunters. For most people, insight into the world of the white-tailed deer is limited to a fleeting glimpse of the proverbial deer in the headlights, or maybe a sighting of several deer feeding along the edge of an agricultural field. Deer hunters have a bit more insight into the ways of the whitetail, spending countless hours in the woods observing the animals as they go about their daily activities. But the truth is hunters only get a snapshot view of their quarry during the various stages of the fall breeding season. Even veteran hunters might be in the dark about what deer do for the rest of the year. If we could somehow mount little mini-cams on the heads of an average buck and an average doe and follow them around for one year, the resulting travelogue would reveal just how variable and complex the lives of white-tailed deer really are. The first thing that would become obvious is that for most of their annual cycle, bucks and does have almost nothing to do with each other. In fact, they're so different in the ways they behave socially, you might think they are different species altogether. 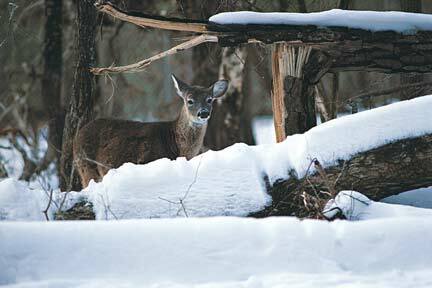 Deer don't hibernate, although they may seem to, if you go looking for one in January. In contrast to the frenzied activity of the fall breeding season, the woods are virtually devoid of daytime deer activity this time of year. The deer all but disappear from the landscape in mid-winter. 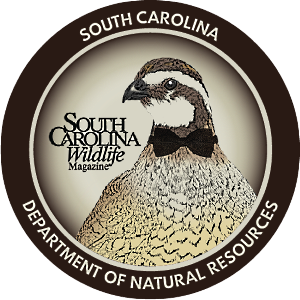 According to Charles Ruth, leader of the S.C. Department of Natural Resources' Deer Project, deer tend to lay low in the colder months. "Everybody is hunkered down in survival mode in January," says Ruth. There may still be some sporadic breeding activity in the mountains, but for the most part, the deer stay put and settle in when food supplies dwindle. When temperatures are in the twenties and the wind is howling, foraging for poor-quality woody browse becomes a losing proposition. It can take more calories to get up and move around and eat what's available than it does to just curl up in a sunny spot and wait it out. For bucks, the shortened daylight causes testosterone levels to drop to their lowest points in the annual cycle, and beginning in February the impressive antlers that helped define their status during the breeding season just unceremoniously drop off. Mature bucks will withdraw to some remote brushy corner of the woods and wait out the harsh winter conditions in seclusion. They will move around from time to time, but they have absolutely no interest in does during this time of year, and, except for the occasional chance encounter in the dark of night, they live a life apart from all other deer. For does that were bred in the fall, this is a time for living off the fat stores built up during the fall and conserving energy required for the developing fetus. Feeding activity during this lean time of year occurs mostly under the cover of darkness. The combination of a slowed metabolic rate and a thick, hollow-haired winter coat allows deer to conserve calories and fare quite well despite the sometimes brutal conditions. Then, sometime around the middle of March, an amazing transformation takes place. 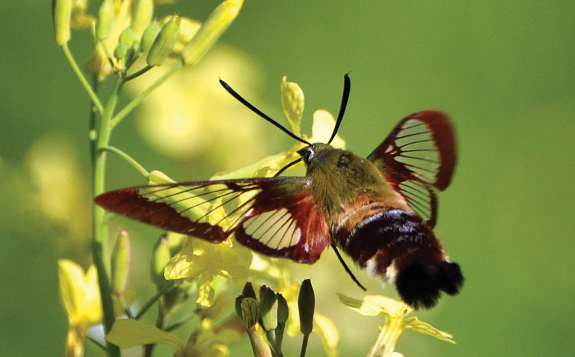 Throughout the natural world there is a great awakening. The chatter of songbirds can be heard in every corner, hibernating animals crawl out of their winter dens, and an invigorating sense of optimism permeates the woods and fields. Temperatures begin to moderate, daylight increases conspicuously and green plants begin putting on their first new leaves of the year. The deer respond accordingly. Bucks' testosterone levels begin rising, which gets their internal engines up and running again, and the increased light causes the formation of a new set of antlers - covered in fine velvet. A mature whitetail buck is a study in contradiction. In the spring of the year and throughout the summer months, the same heavy-horned bucks that will fight their antlered foes with all the vigor of a middleweight boxer in the fall gather in "bachelor groups," all buddied up with their future rivals. "Outside of the breeding season, bucks are quite social during this time of year. Adult bucks are actually more social than adult does," notes Ruth. He goes on to explain that doe groups are "maternal," usually a doe and her offspring. 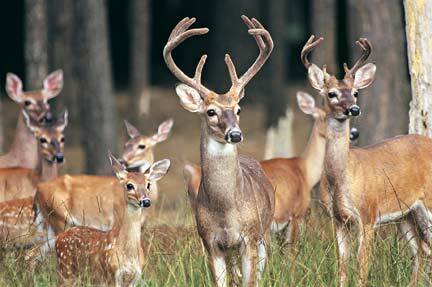 Bucks, on the other hand, form bachelor groups consisting of unrelated male deer. The only thing they have in common is the fact that they are bucks. There are two likely explanations for this unusual behavior. First, there is safety in numbers. The more eyes the group has looking out for danger, the better off everyone is. Second, the bucks are probably using this time of year to establish a preliminary pecking order for the coming breeding season. If you spend all spring and summer with your future rivals, by the time October rolls around, you know your adversaries pretty well. Does form their own groups in the spring, and these typically consist of a single older or alpha doe along with several generations of her offspring and their offspring. For pregnant does, spring is all about birthing and raising the young of the year. Ruth says that the average doe in South Carolina will drop her fawn or fawns (twins are common) about May 15, give or take a week or so either way. At this time, the doe will leave the family group and go off by herself to give birth and tend to her new charge. 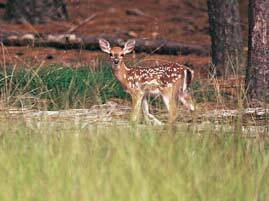 She may wait until the fawn is weaned before rejoining the group. Then, she will become very aggressive toward any male yearlings still traveling with the family unit. Eventually the little yearling bucks get the message and head off to make their own way in the world. 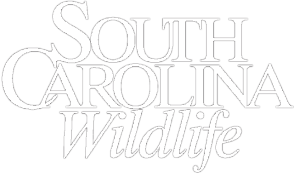 In a study done several years ago at the DNR's Webb Wildlife Center in Hampton County, a radio-collared yearling buck that had grown up in the immediate area got up one fine morning and walked all the way to Estill, about fourteen miles. He never came back. This brings up the subject of deer dispersal. 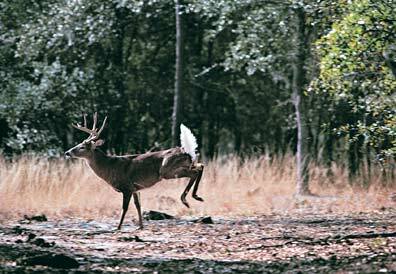 Most deer hunters are well aware that yearling bucks disperse, but it is not common knowledge that other deer disperse too, sometimes for surprising distances. During the fall (and to a lesser degree during the spring), some mature does and a few mature bucks may all of a sudden take off for parts unknown and never return. It is probably the least understood aspect of whitetail behavior, but it is well documented. In one study in Missouri, a particular doe took off and walked ninety miles before settling down in her new digs. That's about the distance from Greenville to Columbia. When the long, hot summer finally yields to autumn, another radical transition takes place in the world of the whitetail. 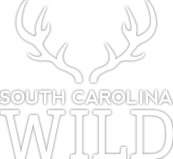 Hunters who begin their deer season in mid-August along the coast know that deer activity is low until that first big high-pressure dome comes blowing down from Canada in September. The air clears up, the humidity goes down, and daytime temperatures moderate. This signals the changing of the seasons, but it is really that other seasonal change, decreasing daylight, that triggers the change in deer behavior. Ruth says this is the period when testosterone levels in bucks begin rising, heralding the advent of the breeding season. "Labor Day is what I call fifty-fifty day. By that time, about fifty percent of the bucks have lost their velvet. By the middle of the month, one hundred percent will have shed their velvet. And testosterone levels really begin taking off." This is the time of year that gets both deer and deer hunters excited. The bucks start advertising their presence, rubbing trees and making preliminary scrapes on the ground. Acorns begin dropping to the ground, daytime feeding activity increases dramatically, and hunters see the first overt signs of bucks showing interest in does. "Breeding statewide is a fairly confined event, more confined than most hunters would suspect," says Ruth. "The average date of conception in does, outside the mountains, is October 30, with the range in dates for peak breeding being between October 15 and November 15. The peak period in the mountains hits about a month later." 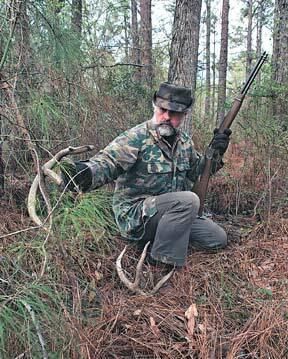 Many hunters have become expert at recognizing the various stages of the "rut," the peak period of the breeding activity. There's the pre-rut, the rut itself and the post-rut. Some schedule their vacations around the rut and its various pre- and post-phases. Finally, sometime around the end of December, the cycle draws to a close. The bucks lose all interest in does, retreat to their secret refuges, and begin gearing down for the coming winter. Most mature bucks become almost completely nocturnal at this point, whether they are hunted or not. The does likewise go into hiding and venture out only when conditions favor a stealthy foraging expedition. By the time the first snows of winter arrive, the deer have hunkered down in survival mode once again and the annual cycle begins anew.